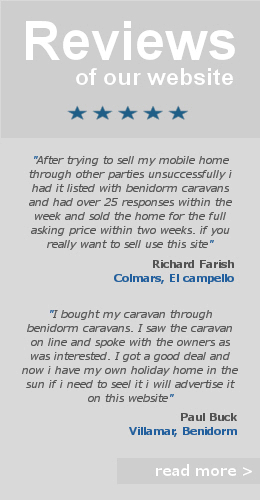 Caravans for sale in Benidorm, Costa Blanca, Spain. New and resale Residential Static Caravans and Mobile Homes (Holiday Homes) For Sale in Spain on Caravan Parks throughout the Costa Blanca, Costa Calida, Costa Del Sol, Costa Brava & Costa Del Azhar. Brand New Static Caravans For Sale On The Costa Blanca – Benidorm, Spain. The 2017 Delta Resort Plus is a practical Mobile Home with a bright and airy feel. The living area is open plan with a good sized lounge/dining area leading to a spacious kitchen area. The living area benefits from a large wrap around sofa with pull out sofa bed and lots of storage underneath the seating. The fixed dining area creates a defined eating space and will prove especially useful for families. The twin and double bedroom have been cleverly designed with lots of storage space and full size wardrobes. The 2017 Model has been created with comfort in mind and this is felt by the warmth of the neutral color scheme throughout. The 2017 Delta Resort Plus Comes with a full winter pack as standard and would be a perfect option for someone looking to spend a longer period of time in Spain during the cooler months. Interested In This Mobile Home? Please Contact The Seller Directly By Filling Out The Contact Form Below..
* The information held on this website is intended as a guide. Layouts and some items displayed are for presentation purposes only. Please ensure you contact us to check specific model design, features and options. The price stated is for this particular home sited on Camping Almafra in Spain, the homes are newly built so are not currently sited on the park in Spain but are available to view on showground’s or exhibition’s prior to a park visit. Please contact us for other Caravan Park Options in Spain. Brand New Mobile Homes For Sale In Spain, Benidorm. New & Resale Static Caravans For Sale In Benidorm, Costa Blanca, Spain. 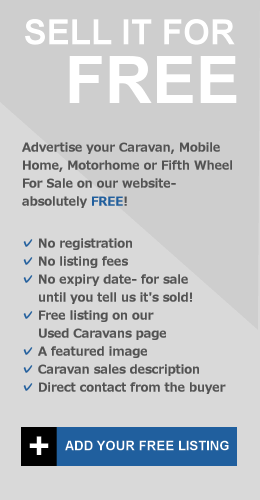 Would You Like Us To Email You If This Caravan Goes Down In Price? All images and descriptions are provided by the advertiser/seller, therefore Benidorm Caravan Sales cannot guarantee the authenticity or accuracy of this or any advert. Please ensure you conduct your own checks before committing to any sale. Commit to a purchase without a viewing. Check the ownership papers of any Caravan or Vehicle. Request a copy of the Campsite rules before purchasing. Meet the owner of the Campsite before purchasing. Request a sales receipt with an itinerary of all included items.